Welcome to paradise! 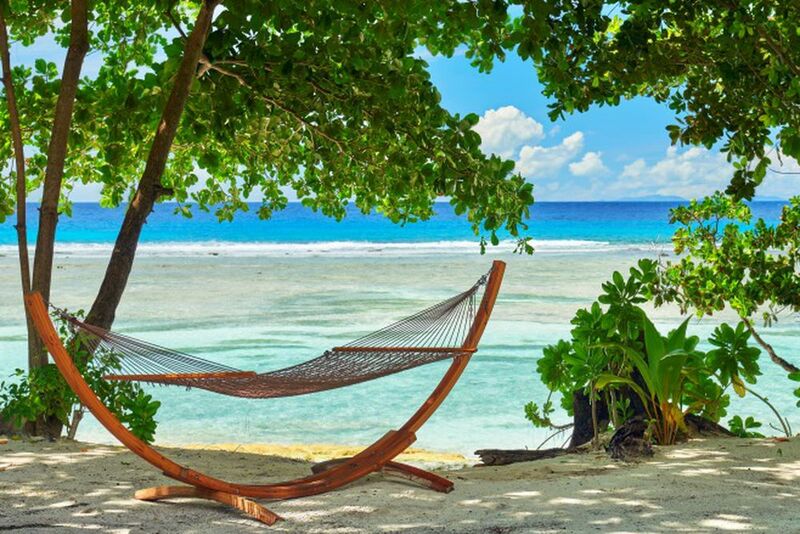 This dreamy beach with a beautiful backdrop awaits you. Who doesn't like to wake up at such a view? The Beachfront Villas convince with an incomparable view. 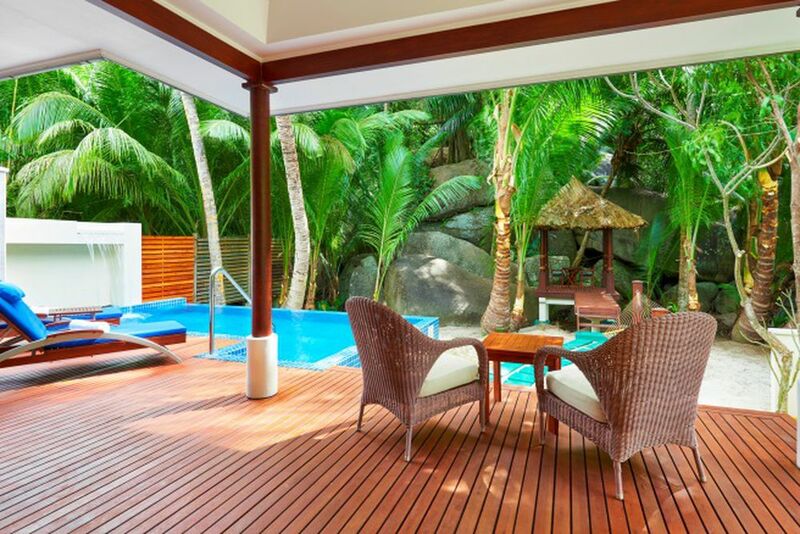 Surrounded by lush greenery, the Hilton Seychelles Labritz is an oasis of tranquility. Take a book and sunglasses down to the beach and enjoy a relaxing afternoon. Bright and friendly colors create a welcoming atmosphere. The extraordinary design of the bathroom promises a lot of luxury. Thanks to the open design of the Pool Villas, there is enough space for everyone! Wake up in the morning and take a few laps undisturbed. 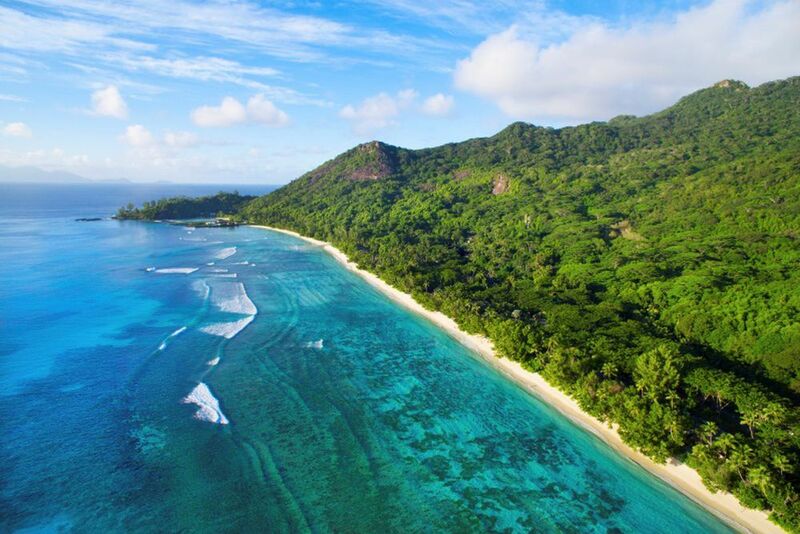 Miles of sandy beach and crystal clear water: Welcome to the Seychelles. At lunchtime, light meals are served at Café Dauban. Take a seat and enjoy the view. 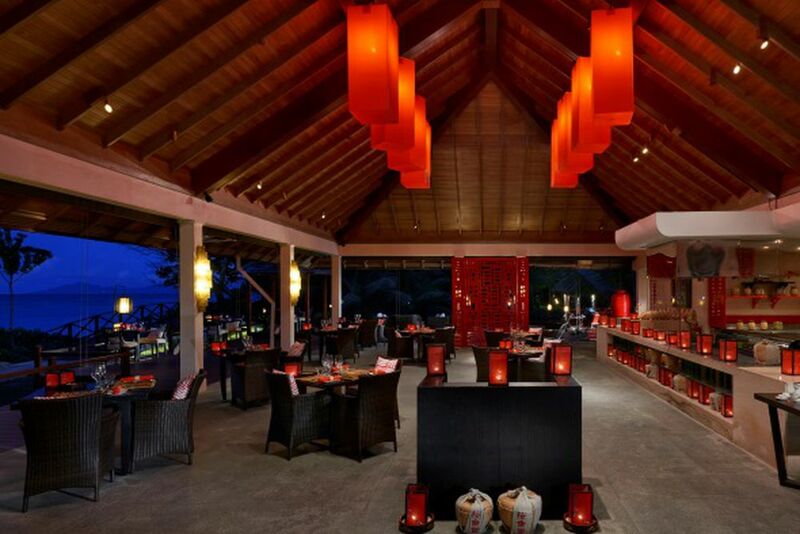 A romantic atmosphere in the Sakura restaurant promises a relaxing evening. 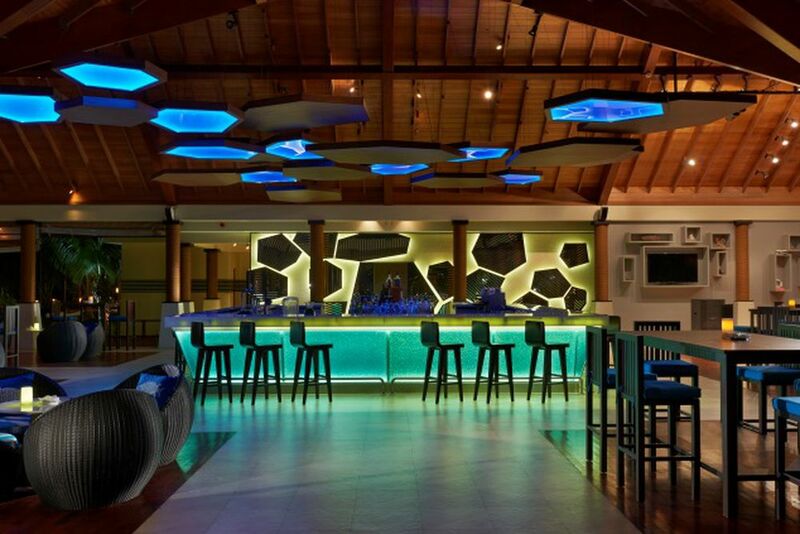 The stylish Lo Brizan Bar will tempt you in the evening, and offers exotic drinks. 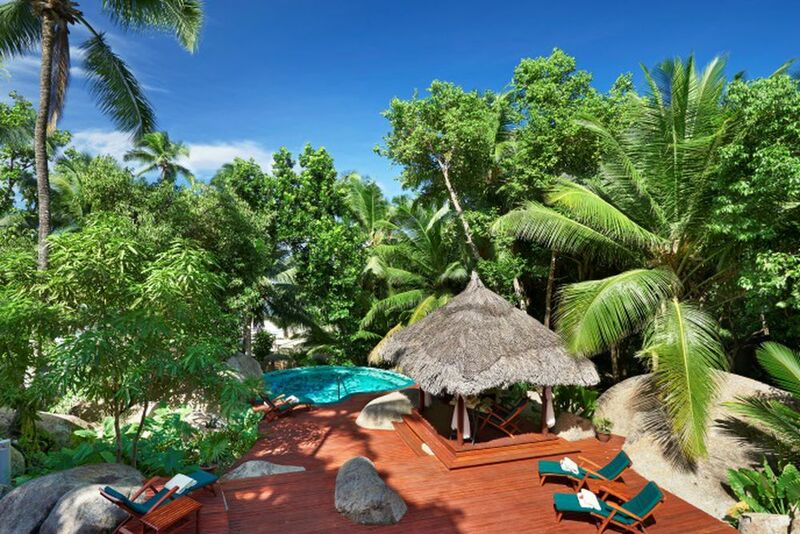 The Hilton Seychelles Labriz Resort offers you peace and seclusion. 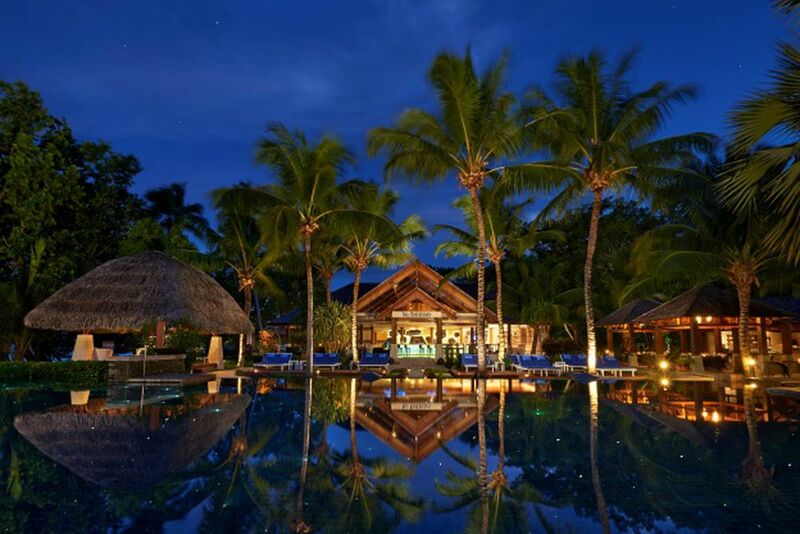 Even in the evenings, the resort is in a pleasant and quiet mood. Don't believe us that it really looks like this? Then come and see for yourself! The Presidential Villa magically attracts travelers with the desire for seclusion and tranquility. Extraordinary and luxurious design can be found in the spa. Discover a very special flair at the pool area in the evening. This is a destination for those looking for refreshing moments. 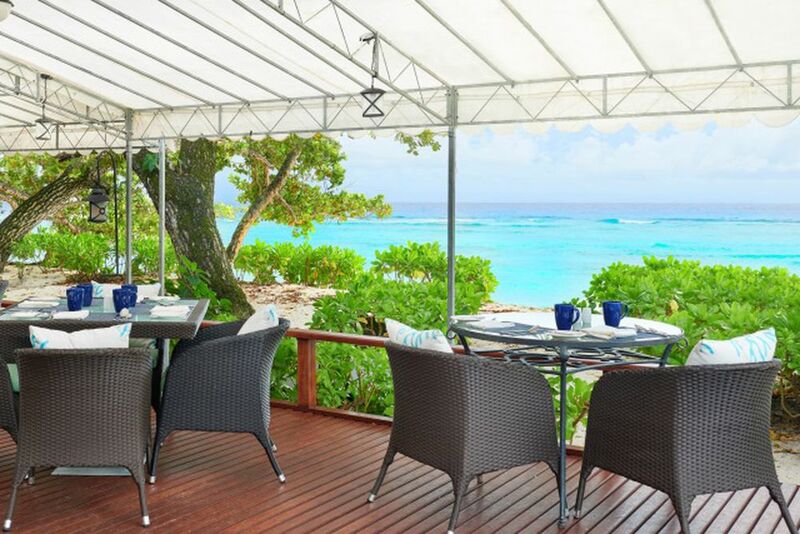 Escape to the only resort on Silhouette Island, the third largest island in Seychelles. Complemented by pristine, white sand beaches, the unique paradise will either take you on an adventure into the lush jungles, or pamper you with luxury and relaxation at the resort’s premises. Come discover the secluded haven for unforgettable memories! 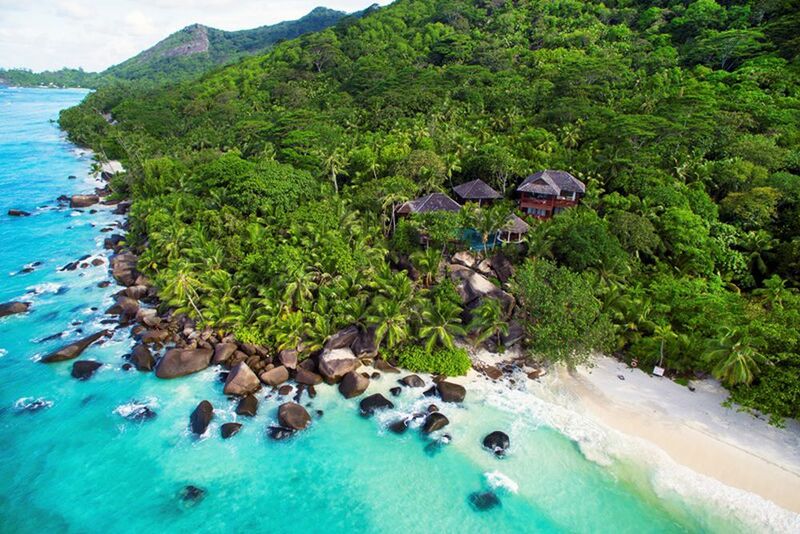 The secluded haven of Hilton Seychelles Labriz Resort & Spa invites you to discover Silhouette Island: a land of legends, mystique and tropical beauty. The island is a National Park situated within a Marine National Park and one of the richest biodiversity hotspots in the western Indian Ocean. Take daytime adventures through the lush jungles, impressive mountain peaks and pristine beaches to discover the many threatened plant and animal species that are typical of the island. 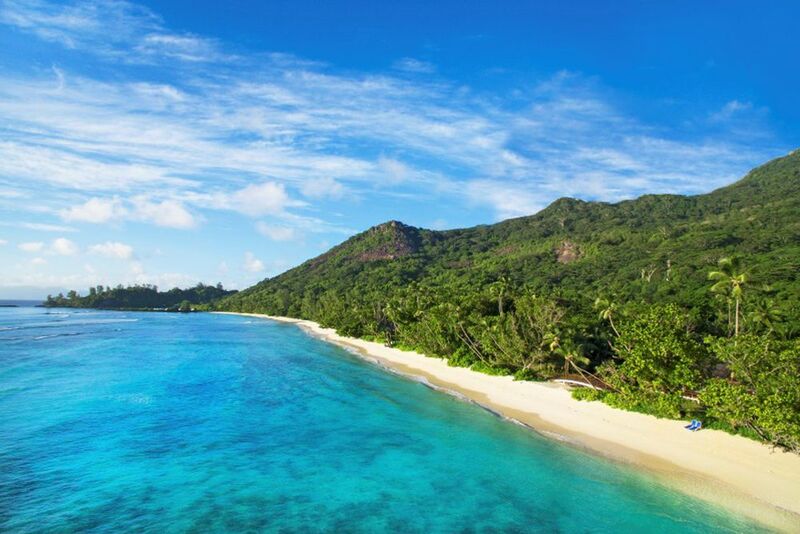 Silhouette Island is the third largest island of Seychelles and the one that has the most unspoiled nature. 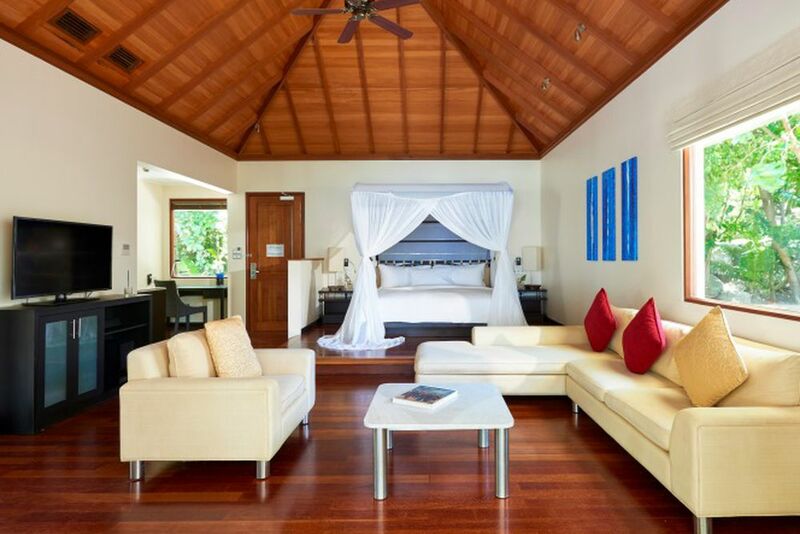 Nature lovers and honeymooners will find this to be the perfect holiday when visiting Silhouette Island. The Mahé airport is about 30 km away and can be reached in about 70 minutes by boat (30-minute drive followed by a 35-minute boat trip). 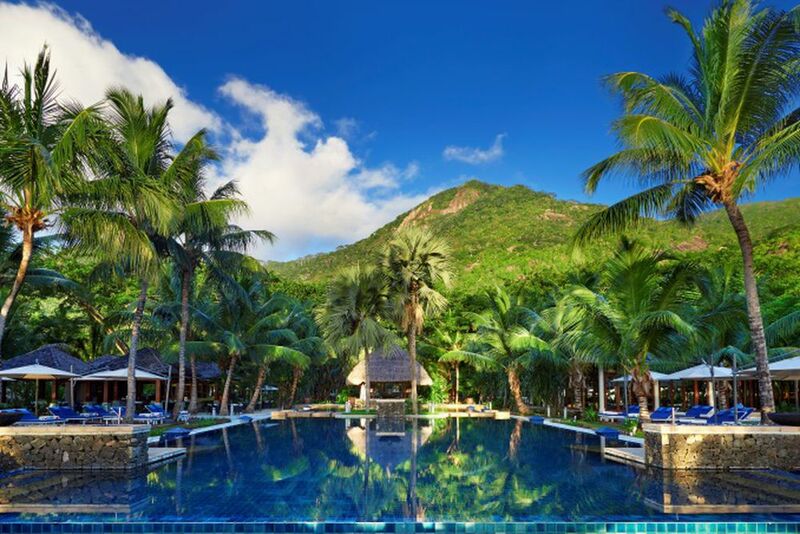 The Hilton Seychelles Labriz Resort & Spa is a multiple award winning resort with idyllic views and outstanding amenities. Enjoy the several boutiques on the resort grounds for shopping. There are 7 international restaurants and bars to spoil yourself in during your holiday. Café Dauban offers themed nights, buffets, refined world cuisine, and Créole specialties complemented by views of the breathtaking Mount Dauban on one side and the Indian Ocean on the other. Savor the finest Italian cuisine under the stars combined with the sound of flowing mountain streams at Portobello. Accompany your exquisite meal with wine from the wide selection available. Taste the mouthwatering grilled seafood or sushi at Sakura. The open South East Asian kitchen overlooks the lagoon, boasting views of the moon rising over the horizon as the palm trees rustle in the wind. The Pizzeria serves freshly made gourmet pizzas and a variety of snacks to please the entire family. Located around the swimming pool, it has the perfect island atmosphere to take a break during your day of relaxation under the tropical sun. Experience the island’s Japanese show cooking restaurant, Teppanyaki, under a pavilion on the edge of the crystal-clear lagoon complemented by stunning mountain views. Treat your taste buds to delicious local cuisine served in the setting of a beautiful 140-year-old Créole house at the Créole restaurant, Grann Kaz. Bar Lo Brizan is the perfect place to enjoy light snacks while listening to live music, sipping on an island-inspired cocktail, and admire the magnificent Indian Ocean views. 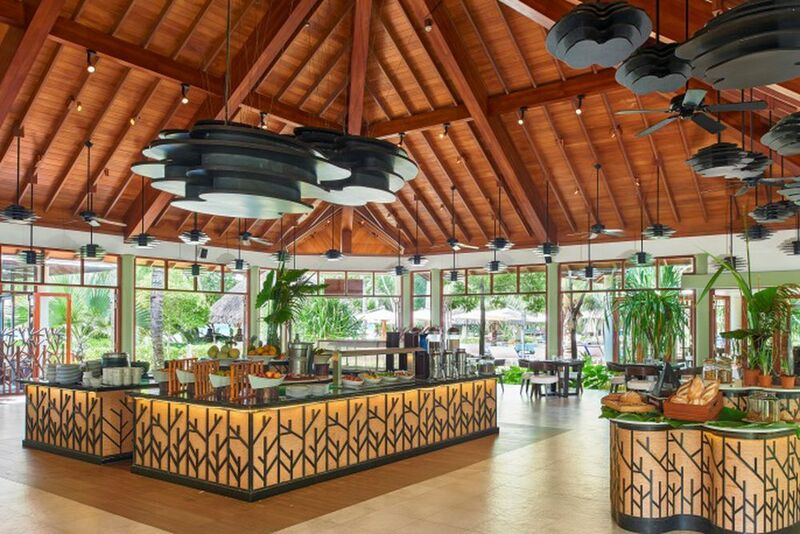 The Hilton Seychelles Labriz Resort & Spa caters for the young guests at the Jungle Fun Kids Club. It is open for children aged 4-12 years old, with fun and activities organized for them all day! Dotting the curvaceous landscape along the east face of Silhouette Island, 111 spacious villas line the hillside and coastline. 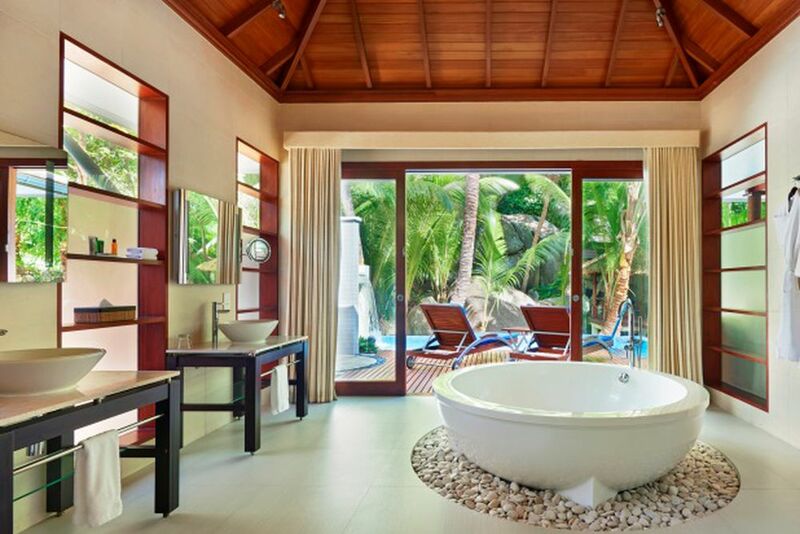 The bathrooms have a separate bathtub, walk-in shower and open onto a private garden complete with an outdoor rain shower. Villa amenities include air conditioning, mini bar, DVD player, free Wi-Fi, safe, seating area, tea/coffee making facilities, hair dryer, telephone, LCD TV, and a furnished private terrace. 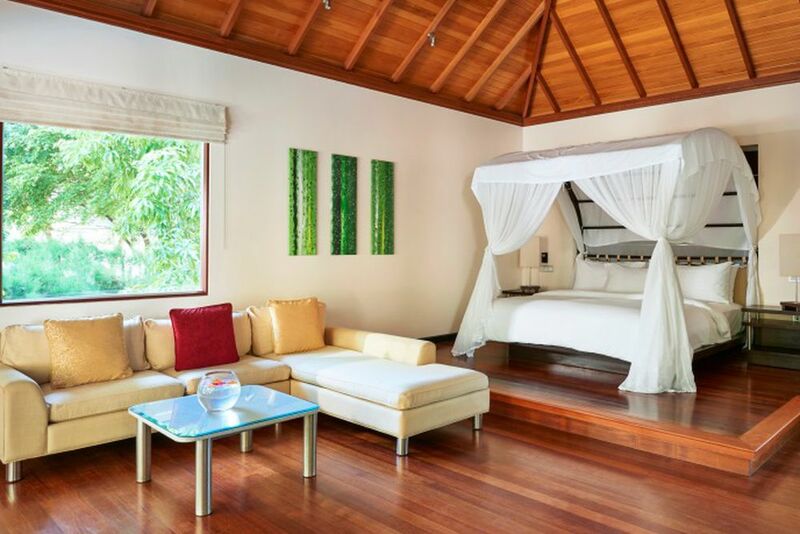 King Garden Villa (88 m²)— Set amidst the lush greenery, these villas boast spectacular views of Mount Dauban and includes a private terrace with sun loungers designed for tranquil island afternoons. Maximum 2 adults + 1 child under 12 years old + 1 baby under 2 years old or a maximum of 3 adults. 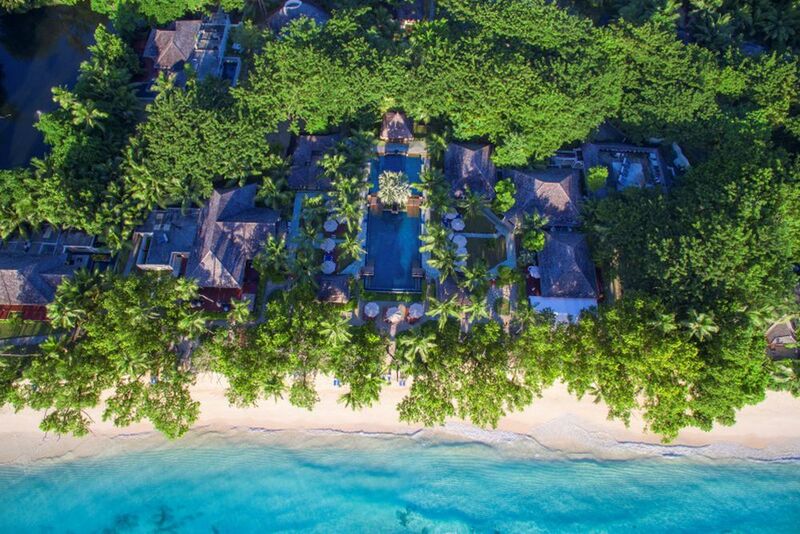 King Beachfront Villa (101 m²)— Discreetly nestled amongst the lush jungle vegetation, these villas are steps away from the pristine, white sandy beach. Unwind in the sun on your private patio overlooking the sea whilst listening to the sound of the waves of the aquamarine ocean. Maximum 2 adults + 1 child under 12 years old + 1 baby under 2 years old or a maximum of 3 adults. 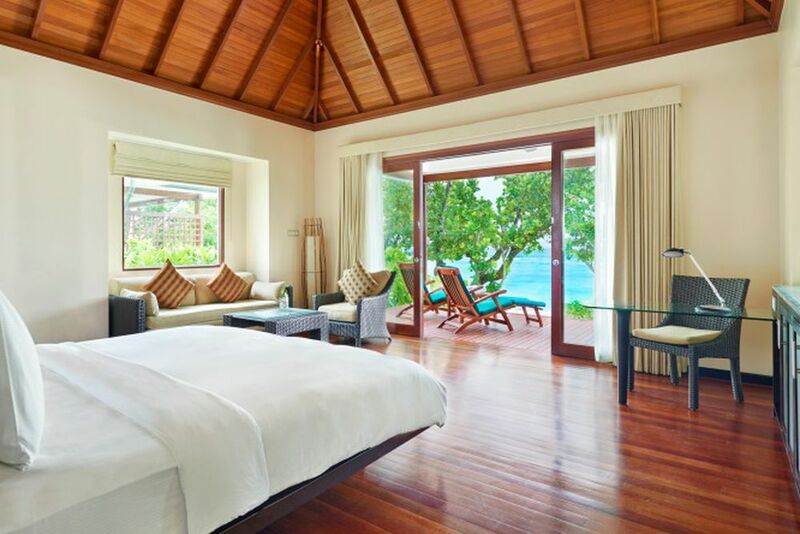 King Deluxe Hillside Pool Villa (185 m²)— Perfect for families, these villas have rooms big enough for everyone. 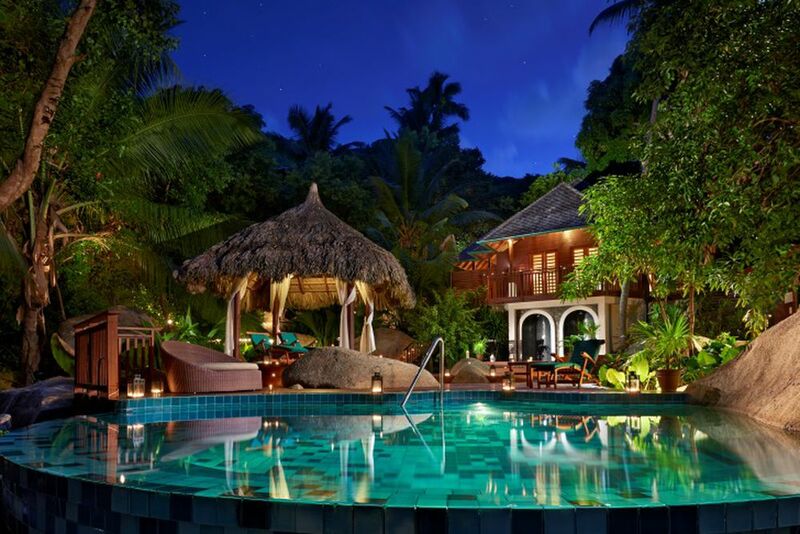 There is a private garden with a cascading pool and a private gazebo to enjoy a catered private barbeque beneath the lush tropical forest canopy. Maximum 2 adults + 1 child under 12 years old + 1 baby under 2 years old or a maximum of 3 adults. 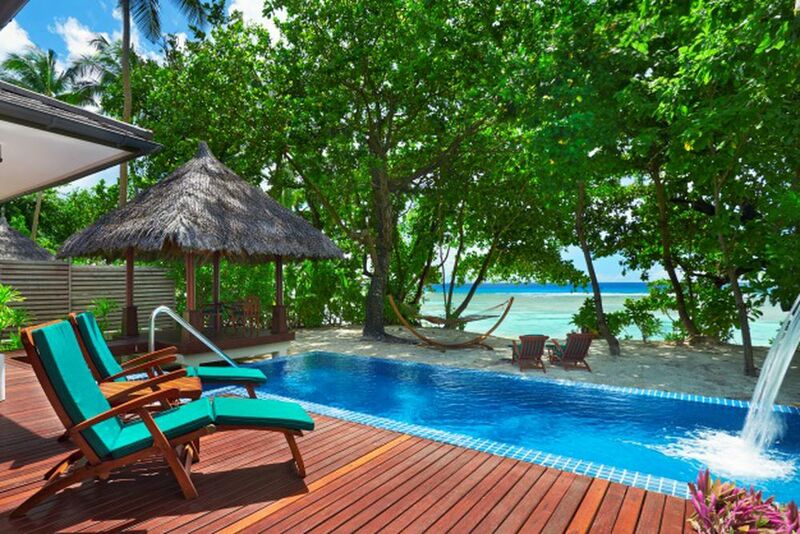 King Deluxe Beachfront Pool Villa (185 m²)— Opening their luxurious space onto the ocean, the villas supplement the beachfront location with a cascading pool in its private garden. Enjoy a rejuvenating massage set up in the comfort of your villa’s private pavilion. Maximum 2 adults + 1 child under 12 years old + 1 baby under 2 years old or a maximum of 3 adults. More rooms available upon request. 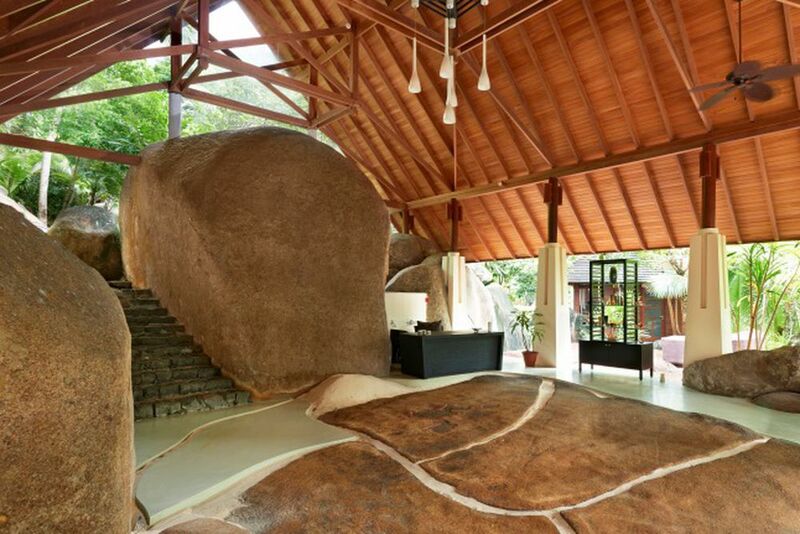 Eforea Spa snuggles up on a hillside between ancient rock and the sprawling jungle. The stunning retreat has six couple treatment suites set upon stilts amidst the magical landscape. The unique spa focuses its treatments around the communion with nature. Specifically designed to suit everyone’s needs, one will experience a total sense of well-being and tranquility when visiting the spa. Enjoy the different amenities of the spa: a Jacuzzi, outdoor relaxation area, hammam, and Yoga classes. For the adventurous and active guests, discover the endless activities that the resort offers! There are two pools, a fitness center, tennis courts, bicycles and short walks to coves and beaches for recreational activities on your own. For the land adventurers, try the guided day trips on Silhouette Island, visit different islands, excursions, picnics on the beach, or even sunset cruises! Ideal for divers, the island has a local PADI diving school at the hotel which offers different diving courses. For a fee, try snorkeling, diving, kayaking, pedal boats or deep-sea fishing.